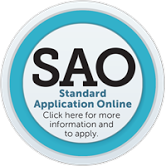 SAO: Standard Application Online, please click here to start an application or learn more. Applying Made Easy: The Enrollment Management Association’s Standard Application Online (SAO) simplifies the process of applying to independent schools (grades PK-12). Families complete just one online application, obtain one transcript, and one set of teacher recommendations (easily submitted online) to apply to any number of private/independent member schools that accept it. Visit ssat.org/SAO for more information. Click here to learn more about TABS. Vericant’s official partners are North American high schools (boarding/day), undergraduate, and graduate schools. In order to help students and parents better understand our interview, Vericant will hold presentations and related activities with language training institutions and study-abroad agencies. Presentations are mainly about study-abroad trends, the process of doing an interview, interview policies, and answering questions about registration (how to schedule an interview, how to deliver interview results, etc). Vericant will strictly follow the principle of not providing interview training, and ensure that all Vericant related activities do not serve as interview training. Vericant will, as always, strictly follow a principle of justice and fairness, to provide a platform for all study-abroad applicants to further express themselves. Parents, students, and institutions are all welcomed to join!